It's 2018 and now more than ever the question of 'am I being green enough?' is on everybody's minds, including ours. Being 100% environmentally friendly can be incredibly difficult, especially when you're an independent business, however, we believe that any change is a good change. 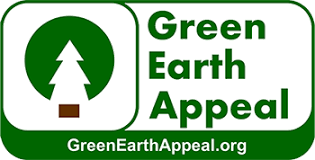 Although our take-away cups are not yet bio degradable (this is something we are looking into as well as, reducing our plastic waste and increasing our paper use), we do work with The Green Earth Appeal – a not-for-profit social enterprise, via our cup suppliers Printed Cup Company. For every cup we order we pay the Green Earth Appeal to plant 5 young trees which will replace the paper used in the manufacturing of our cups. This is also something our coffee supplier, 918 Coffee Co. Are involved in a well and plants 10 new fruit trees for every new customer order. They are also the only company to have a unique solution to coffee waste, including coffee grounds collection and recycling. Whilst planting trees may seem like a simple solution to a massive global problem, this one action can lessen the impact of global warming and enhance biodiversity.